Since early texts as Thinking and Politics , Arendt had highlighted the contrast between philosophical and political thinking and compelled herself to find a satisfactory answer to the question: how do philosophy and politics relate?. In her last work Lectures on Kant's Political Philosophy (1982), Arendt analyses the political dimensions of Kant's critical thinking. To think critically implies taking the viewpoints of others into account: one has to enlarge one's own mind by comparing our judgement with the possible judgements of others. While thinking remains a solitary activity, it does not cut itself off from all others. The essays in this book address the philosophical and moral questions raised by Arendt's attempt to draw out the political implications of critical thinking in Kant's sense. In one way or another, they all address the place of judgment in Arendt's thought. 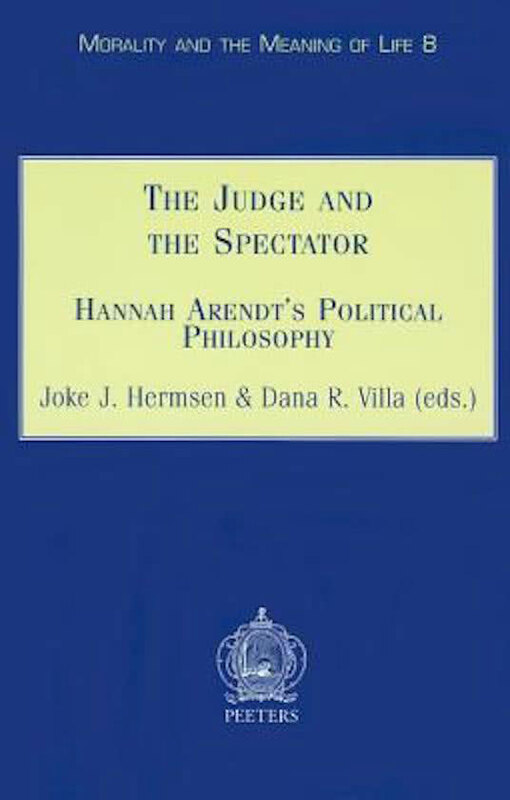 Arendt's turn to Kant and The Critique of Judgment was motivated by her desire to find a form of philosophizing that was not hostile to politics and the public realm. But did she really think that Kant's characterization of the judging spectator pointed the way out of the opposition between the universal and the particular, between looking at things sub specie aeternitatis and looking at things from a political point of view? To what extent did she think that Kant was successful in revealing a mode of thought oriented towards public persuasion, yet one which retained its critical independence? Each of the essays wrestles with the complexities of a complex thinker. They remind us that critical thinking or Selbstdenken is among the most difficult and rare arts, even though it is an art potentially accessible to everyone. They also remind us that Hannah Arendt was a virtuoso of this art, and of how her example points the way toward a renewal of judgment as the political faculty par excellence.